BRIGHTON, Mich. - While fall is in full swing right now, winter will be here before you know it! Before the weather gets too nasty, and the roads become difficult to navigate, we've put together 3 ways you can prepare your car for winter. 1. Take care of your wiper blades and windshield wiper fluid. When you're driving down the road in snowy/slushy conditions, you want your windshield to be clear so that you can see what is in front of you. That's why it's important to make sure that your wiper blades are in good condition and that your windshield wiper fluid won't freeze. If your wiper blades are cracked, peeling, or leaving streak marks on your windshield, it's time to replace them. While you're taking care of your wiper blades, consider purchasing windshield wiper fluid that is designed specifically to spray in freezing conditions. By taking care of these two things, your windshield will remain clear and your surroundings visible. 2. Make sure your tires have adequate tread. When road conditions are less than ideal, you need to be as in control of your vehicle as possible - with bald or balding tires, you won't be able to do that. That's why we recommend checking your tires tread and replacing them if they are worn. 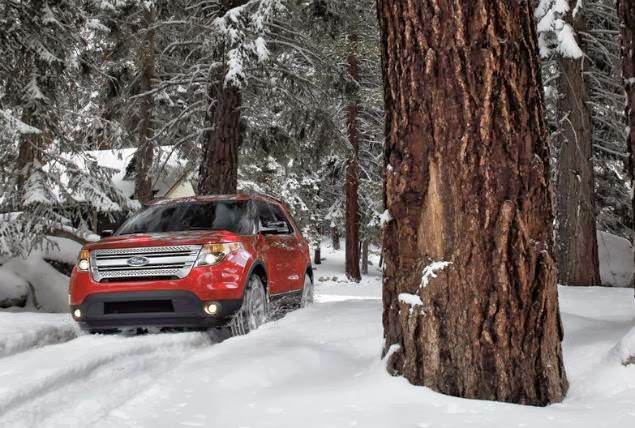 Even better, exchange them for a set of snow tires that are designed to provide better traction and are equipped to handle extreme driving conditions. If you follow the above 3 ways to prepare your car for winter, you should be ready for anything come this cold season. Should you need any assistance in prepping your vehicle, stop by our Commerce Township Area Ford Dealership! We would be more than happy to assist you in winterizing your vehicle.